Students, professionals, and even researchers look for online courses to learn anywhere, anytime (SitePoint Premium is a perfect example!). However, if your WordPress website was already live and you want to create an online course using it, would you want to pay more to a developer to have that done? Definitely not! Being a freelancer or solopreneur, you want to create a secure and efficient platform with less (or no) cost. Do not worry, with WordPress you can easily create an online course system, using a learning management system plugin! The term “Learning Management System” (LMS) is often used when discussing online courses. An LMS is a system used to create courses and training programs and typically also provides functionality to manage them. There are many LMS available online, such as Moodle, Canvas, etc. But if you have a WordPress website, then why not integrate your LMS into the same website? You can easily create secure and efficient online courses and then sell access to them to begin building your E-Learning business. Why WordPress for Creating an Online Course? Since WordPress is free, reliable, and easy to extend with plugins, you can create an online course with WordPress at a lesser cost. WordPress plugins for LMS have amazing features, so it is easy to use them to create a course from scratch. After development of courses, you will need to maintain them. This can lead to maintenance costs; but the required time and costs can be less when using a WordPress LMS plugin. You may find yourself needing less maintenance for your course and lessons, since these plugins have extensions to do some maintenance work automatically. Once you’ve planned the basics of your course – the title, the content, the membership or access plan – then you should begin considering which LMS plugin you’d like to use. LifterLMS is a powerful LMS plugin that will help you easily create, and publish an engaging online course. It comes with a student dashboard, wherein learners can check their profile, course progress, profile, certificates, etc. It also has a personalized certificate system. Both online and offline payment is available for the learners who want to enroll in your course. Courseware is a learning management plugin that comes with a system providing a dynamic progress page, question tagging, etc. 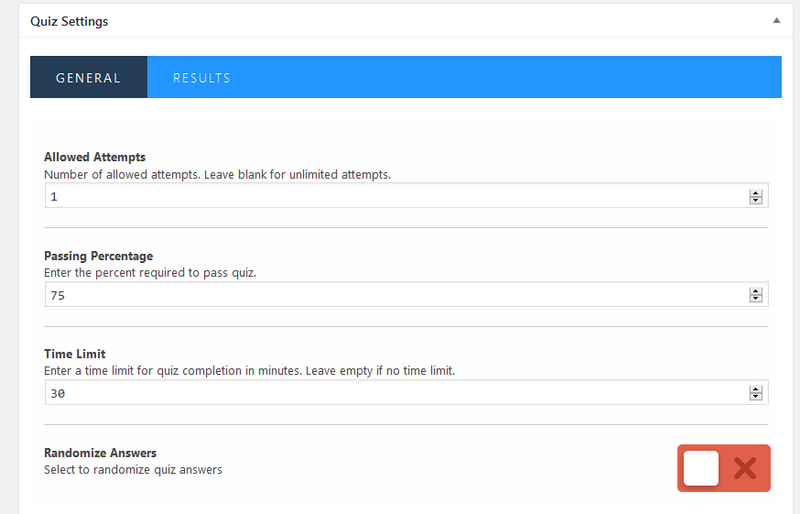 Your course attendees can also download the quiz results using this plugin. Within the Courseware plugin is a tool called “report cards” that has been integrated to create surveys and export grade books. StudyPress will help you in creating multimedia learning content easily. They provide distraction free, full-screen mode features, so that it is easy for learners to access lessons. It also has an awesome drag and drop interface to create a course and lessons. The teachPress plugin supports localization. Your course can be created in more than two languages resulting in a wider reach. You can import the publications in BibTeX format. RSS feeds for publications are also provided. 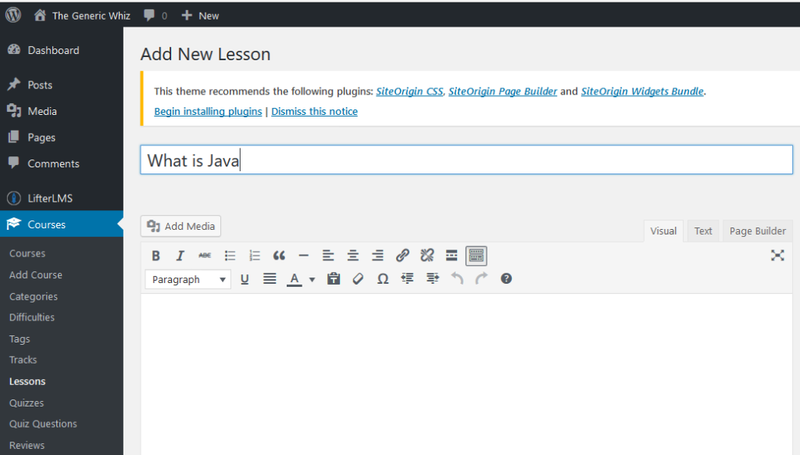 The plugin also has shortcodes, so you can provide course overview on any WordPress post or page. Sensei is an LMS plugin that offers different designs for different courses. Provided by WooThemes, this plugin can be easily integrated with WooCommerce to sell courses online with ease. Note: WooCommerce is considered one of the best platforms for creating E-Commerce websites. Its integration with LMS works like a charm for course creators as well as learners. The Educator plugin provides shortcodes, making it easier for you to integrate on your WordPress page or posts. Multiple payment methods are supported by Educator, such as PayPal, bank transfer, check, etc. Select the perfect plugin for course development. You definitely want to look at this one. Many LMS plugins have similar features to each other, but the unique features of each are what you have to make a decision based on. I have used more than a few, and consider WP-Courseware and LifterLMS the most useful for my own projects. Now, you will see how to use an LMS plugin to start on a demo course from scratch. For the demo, I will be using the plugin LifterLMS, which is a powerful learning management system. Here, you will see what can be done to create a valuable course for our audience, which can be engineers, professionals, researchers, etc. Let’s say you want a course on Java. You can easily create it using LifterLMS. Create any number of lessons and add under your course sections. Also, mark the duration of the lessons. Categories in WordPress group your posts, but in LMS, course categories group your course lessons. A student or professional comes to your website to join a course. After completing a course, you will probably want the attendee to assess what they have learned from the course. In Figure 4:1, you will see how to create questions for a quiz to evaluate student performance. Let’s say you started with a few courses on your WordPress website for students and professionals. After gaining success, the number of courses created on your website increased tremendously. So, to avoid chaos, you can easily export the course list in the XLS/CSV format. 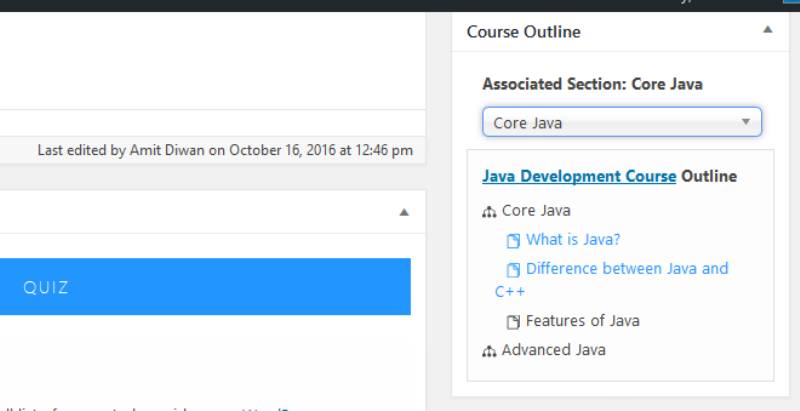 A course list consisting of fields and details can easily be generated by a click of a button. Add-ons will create new functionality for your courses. You can use them to add more features to your course that prove to be quite beneficial. Add-ons or extensions can include functionality through which you can easily check the course progress of any student. Extensions are also available to meet other needs, such as adding the ability to easily create media attachments. Integration with other plugins is quite important to extend the functionality of your LMS. Integrate with BuddyPress, WooCommerce, or other plugins that you might wish to use in your WordPress site. For example, integrating with Gravity Forms will help you to create amazing forms in no time. In Figure 5, you will see some extensions you can add to your LMS. You can keep your course free for your audience for an allotted amount of time, and after building your brand, you can sell it at a price suitable for your audience. You can easily manually or automatically generate certificates for learners after they complete the course successfully. Great feedback and ratings are what a course creator strives for. Not only the course creators, but also those who want to buy a course, check the reviews and ratings. So, an option is available for the attendees to leave a review after completing the course. 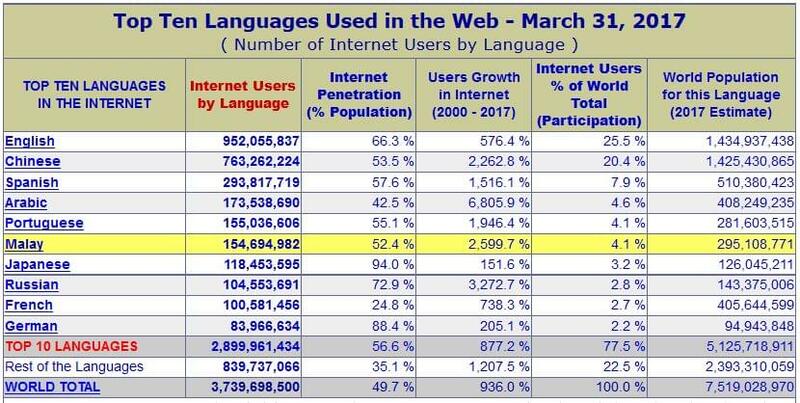 According to a survey on Internet users worldwide, the top Internet language is English. It cites English as the language of an estimated 25.5% of internet users of the world’s population. What about the rest? Target the global audience with the WordPress plugins localization feature. Develop courses in different languages and get a wide reach. In this article, you learned how to create an online course in WordPress and deliver it on your website. You also learned how to extend the course with add-ons. Start your journey to an easier way to create a WordPress based course platform, which in turn will allow you to teach others!